Skin care in the sun eh? I bet you’re all thinking SUNCREAM right about now? A lot more than that can and does go into taking care of your skin in the sun though. I’d like to think this piece will be useful to everyone with different skin types, as well as my friends who have albinism too. And also, I’ll take this chance to point out that this isn’t medical advise in any way, shape or form – its just a rambling piece about my thoughts on the topic and what has worked for me in the past. There are apps for this so you have NO excuse not to do it. All during the summer months, I check the forecast every morning to check how intense the sun will be, if there are clouds due, and what times of the day that sunshine is expected. If you have business to attend to during the day, you might decide to do it at a time when the sun is less intense or when it is overcast. Above anything else, its helpful to plan an outfit – especially shoes! Trust me, you do not want to be caught in a pair of cute flipflops when rain is pouring down on top of you! 2. Choose your outfits wisely. If I know it’ll be sunny on a particular day, I’ll plan to wear light clothes that will cover problem burn areas like shoulders or the upper back. You can still look bright and feel comfortable in summer clothes even if you are a tad more covered than friends. Shorts or strapless tops are a major no-no for me in the summer months, it is just too easy to get sunburned in those or to fail to apply suncream properly to these areas. A lot of people say black should never be worn in the summer either as it attracts the sun, although I wonder is that a bit of an old wives tale! There is more to skin care in the sun than suncream, but it is a big part of keeping your skin healthy. Its important to pick a suncream that will give you the right protection of course, but also one that you’ll be happy to wear too. It’s pointless buying a suncream that is intensely heavy because you won’t want to wear it and it will be irritating to even apply. Personally, I have always found the sun spray types best as they are much lighter than traditional suncreams, and as they have a spraying nozzle, they are also easier to apply. Even the higher factor coverage in these sprays isn’t as gloopy as the typical sun creams are. Just remember to constantly reapply every hour! 4. Wear makeup if at all possible. And sunglasses! This probably sounds a bit over the top right? But remember, most liquid foundations do have an SPF level within them. And its a lot nicer to have makeup with sun protection covering your face, rather than applying suncream. Keep in mind that the coverage in makeup isn’t that high though, and check your own foundation for its SPF level. Remember to keep sunglasses around you at all time – especially in Ireland because you may never know when you need them! Invest in a pair with good protection from the sun too – UV rays can and do damage eyes year after year, and so a pair of sunglasses with substantial protection are a worthy investment. 5. Do your best to sit in the shade. Simple but effective, and you would think it goes without saying, but that’s not always the case. I always have to be reminded to sit in the shade! If you’re in the park with friends who want to sunbath, try and sit near a tree or statue that can give you shade form the suns rays, while still allowing your friends to bask in the rays. 6. Look out for moles and skin changes. I can’t stress this enough. Moles that have recently changed shape or colour should always be observed by your GP, especially if they are in an area of your body which has been previously sunburned. For more info on what type of changes to look for, click here – because I’m not a doctor and this is just an opinion piece and not medical advice in any way! Hopefully, this piece will be useful not just to those with albinism, but also to anyone who is looking to protect their skin from the sun! Anything you can add to this list of skin care in the sun? Drop me a line through the blog page! 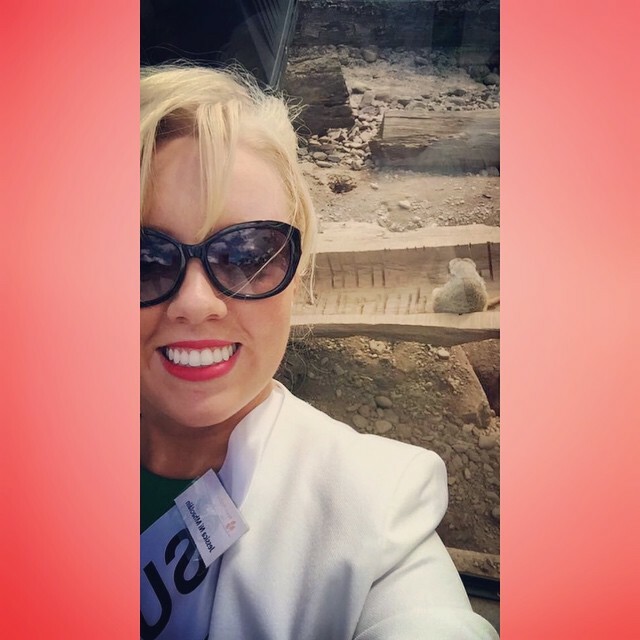 In the meantime, check out this sunny selfie I took with a meerkat in Fota Wildlife Park on the Cork Rose tour recently – the meerkat didn’t really cooperate though! Some time late last year, I had the pleasure of meeting a fellow blogger, Tom Hickey, you can find his blog by clicking here. We got to chat and share some of our experiences with each other, he being a fan of my blog, and I a fan of his. While our impairments were different and perhaps limiting in their own ways, I feel we really understood where the other was coming from. During our chat, we obviously shared ideas about future blog posts, and he suggested I write a “do’s and don’ts” guide, as I had mentioned a few times that certain stereotypes and ways people act around me can sometimes get to the point of being annoying, and sometimes hurtful. Ask me about albinism, and my sight. Of course, if you’re reading this blog, you will realise I’m very open about my vision and what albinism is. And I’m happy to share this information with people any time they ask. I’ll always be happy to do that. The only way to raise awareness of any impairments and conditions are to be open and talk about them. And in my experience, people always love to learn. “Who does your hair? I want to go that colour”. I absolutely love this question, and the follow-up of “how do you mean its your natural colour”? I always maintain an upside to having albinism is the fact I’ll never have to shell out on a dye-job for my hair, and never worry about roots. You have to take the good with the bad, right? Offer some help. This isn’t a patronising thing to do, from my point of view anyway. If I’m in the local coffee shop in college and people ask if I need a hand bringing my drink to a table, I’m more than happy for that help. It means I don’t have to try and navigate obstacles like bags and chair legs while I have a hot liquid in my hand. Or if I’m getting a train and the staff offer to help me get on and off, it helps make sure I don’t get too lost. If I’m ordering food at a carvery counter and the server calls out whats on the menu, it helps to make sure I get to know exactly whats on offer and help me to choose – this is a particularly tricky situation because a lot of restaurants will have their menu written in chalk – a big no-no for me to read. Stare. How many times do I have to say this? I feel like a broken record. I’ve lost count of the amount of times people have walked towards me and stared into my face – now I don’t mean a stare that is normal human nature whenever you’re passing someone in a crowd and you notice their hair/coat/handbag, I mean a blatantly obvious “I wonder do her eyes move/can she see me” stare. Above anything else its extremely rude, but it can be hurtful, especially if the person being stared at (in this case me) is having a bad day. It’s a horrible feeling when people spend some of their time staring at you in the face, and its something I don’t really know how to handle, even now. Depending on my mood, I’ve been known to stare back at people – which really freaks them out if I’ve got my cane in my hand! But sometimes, I’ll just retreat to somewhere with less people around, sit quietly, and try to mull over what makes me so inherently different that people feel the need to stare and point. Like the guy who is staring at me in the library right now as I write this blog post. Irony eh? “How many fingers am I holding up?” Irritation level 100. In all fairness, why would you ask someone that, especially someone you probably don’t know that well – generally these are the people who will think its ok to play Doctor and ask me. I’m open about my condition, as I’ve said above. But this is a line I feel people shouldn’t cross. And I’ll normally respond in a way befitting that. Patronise. This is probably a generational issue in Ireland, and not a case of people being rude or obnoxious. And it isn’t something that annoys me as much as the previous two points. What I mean by patronising is when a person, normally an older person, will say something to the effect of “isn’t it great that people like you can read/attend university/get around on your own”. People who make these observations are usually someone I meet in passing, let’s say in a doctors waiting room or on a train. These are the people who mean well by expressing their happiness that “someone like you” can be independent. As I say, it isn’t a point that gets me as much as the other two, but its something to be mindful of because it can make you question how different you really are, and how people might see you differently. To finish this blog, I’d like to ask again: what are your experiences? What are your do’s and don’t’s of your own condition – be it vision impairment, hearing impairment, physical or mental health issues? I found after speaking to Tom that we shared some do’s and don’t’s – but probably not all the ones I’ve listed here because everyone is different. Looking forward to some replies! Flash back to the end of August. I’d had a pretty jam-packed summer; trips to Dunmore East, Liverpool and Inis Mór. And now I was settling down to start my masters in Government, back in UCC. So I’m out shopping for the typical college stuff (pens, papers, highlighters) when I get a phone call. 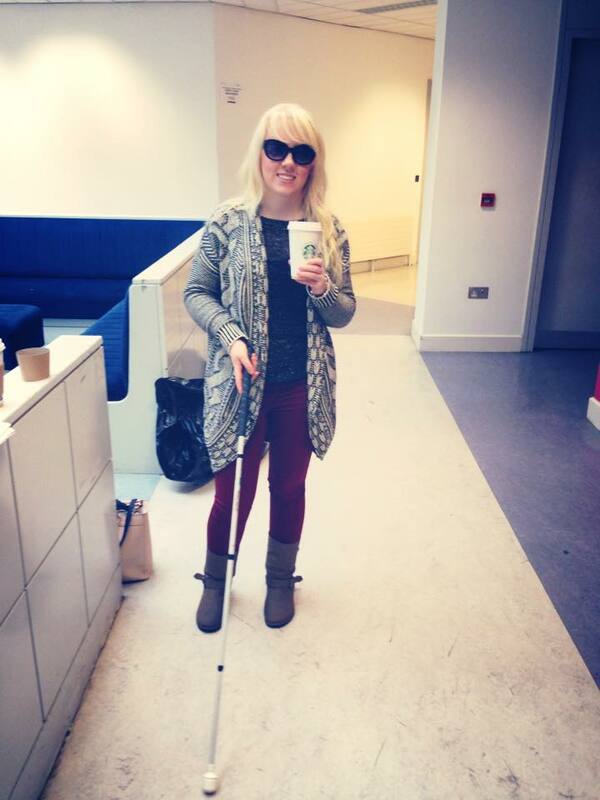 Its from the Irish Guide Dogs Centre and they’ve found a place for me on one of their Independent Living Courses. The course is taking place for the entire following week so I accept my place, pack a bag, and take all kinds of gear with me as its a residential course. Sounds like I did it without even a second thought, doesn’t it? Except there was a second thought, plenty of second thoughts. – I don’t really need help from anyone else, I can sort it myself, why does everyone think I need heaps of help? – If this is a box ticker in any way, I’m high tailing it out the door. Well, what a surprise I got! Arriving on a Monday, I was given most of the day to settle in and meet the others in the group, as well as the course instructors and the other staff. Together, we all got a tour of the building, and got to grips with the facilities that were there for us to use during our stay. Then one of our instructors explained the structure of the week to us, which basically consisted of us learning during the day, and making our own fun at night. The course was open for us to do what we wanted with it. So as a group, we all came to a consensus about what we wanted to cook for lunch and dinner that week, made a list of what ingredients we needed, and decided on some extra household related things we wanted to learn too. So we decided on smoothies, lasagne, casserole, curry, wraps, pittas, banoffee pie, and brownies. Now, the whole point isn’t to learn how to make these specific foods, its really to equip us with skills we can use to make all kinds of meals for ourselves, and by extension of that, to make ourselves more independent in a safe way. We learned how to use our other senses to tell how well our food was cooked (sound, smell, touch), what foods or sauces we were using (smell, touch), how to layer foods (touch, sound), how to use particular appliances safely (touch, sound), and how to make sure our area was clean after we’d cooked without necessarily using sight. While we did have our instructors with us the whole time we were in the kitchen, it was still a case of “you must cook this – no one else will cook it for you”. And that is exactly the kind of Independent Living Course someone like me needs. Its about empowering ME to do something and finish a job MY WAY, no matter how different it is as long as its safe. It is so daunting at my age to realise that in the next year to three years, I’ll be living on my own, cooking on my own, cleaning on my own. And its daunting because I’ll be the one in charge of me, I won’t always have my parents or my brother to fall back on. And I know they must wonder about it, as do I, thinking “Will she manage? Will she cope?”. So for me. getting these kind of skills was massively important. It doesn’t just benefit me, it benefits those around me too. Pride is a good thing. But pride could have put a stop to me going out to the centre and learning all these fantastic, new, and badly needed skills. Pride could have stopped me meeting new friends and us all sharing our experiences with one another. I’m so glad I took that particular leap of faith and didn’t let my hesitation or previous experiences stop me – I would have lost out on so much. I can’t speak highly enough of the training and empowerment I got from this course, words could never describe it well enough It taught me a lot about not letting pride stand in my way too. 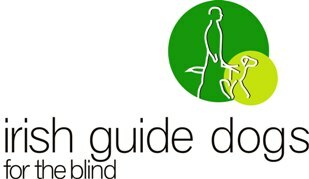 If you would like to support the work of the Irish Guide Dogs For The Blind, or want to find out more about their services, please click here where you can donate through their webpage or search through the different types of courses run.